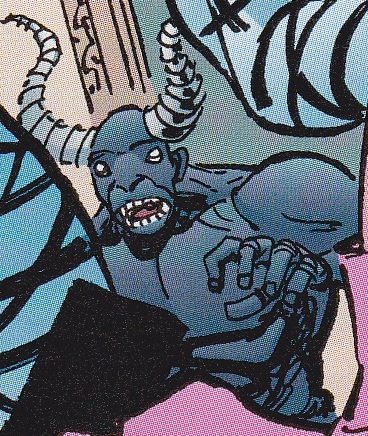 Other Distinguishing Features: Gray skin and two large horns extending out of his head. Bighorn is a member of the Vicious Circle in attendance at a new member initiation. The ceremony is attacked by Dragon and many of his allies. Bighorn is later seen as one of the many super-freaks who Brutally beat Dragon in prison.